Please let me know if you find additional changes and I'll update the original posts. GetQuestLogTitle no longer returns "isDaily" as a boolean, but "frequency" which needs to be compared against two constants representing daily or weekly values. GetMacroIcons(table) will (sometimes?) populate numbers in the table instead of string for texture file path. Might be temporary, at least seems like it. Last edited by p3lim : 08-25-14 at 02:39 AM. o.O That's a nice, if minor, change. It would also be nice if we could somehow access microdungeon maps without actually being inside of it. No changes in build 18738, but GetSpellInfo no longer returns empty strings on invalid parameters, now returns nil as intended. `BankButtonIDToInvSlotID(id, isBag)` appears to have changed the values is accepts for `id`. Previously it was 5-11 (the bank bags' bag IDs), now it is 1-7 (the bank bags' logical indexes). newVersion? 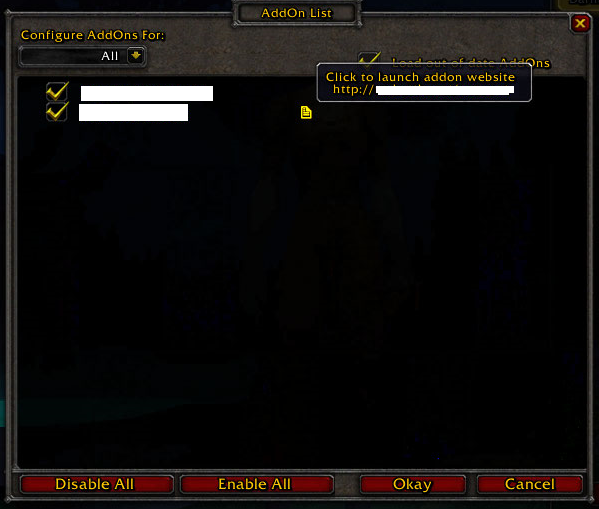 Incoming built-in addon update checker, or am I missing something? Nope. It has been in game since at least TBC. And never been used. 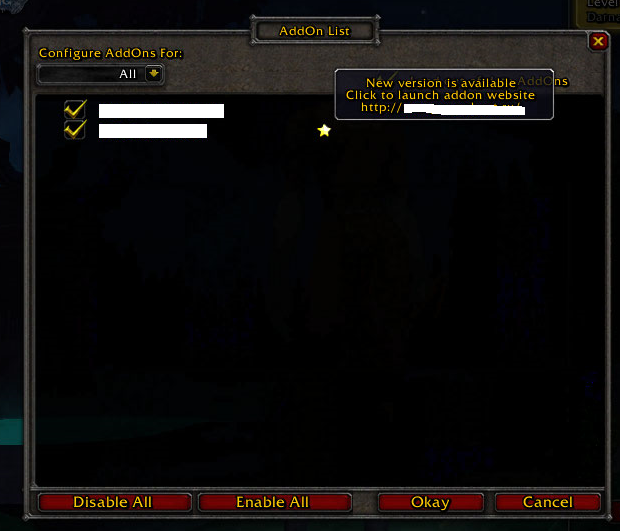 It needs some server side support and only works for "Secure" addons right now. Last edited by TOM_RUS : 09-03-14 at 08:16 AM. Am I correct that they also have the "Enabled" removed from GetAddOnInfo ()? How can I now query whether a particular addon is enabled or not? So completely I do not understand the change of the function. Last edited by liquidbase : 09-04-14 at 09:52 AM. Thanks I will try it. I personally would use name because some people use different titles from the addon folder in their .toc files. Last edited by gizmo28 : 09-04-14 at 03:41 PM.